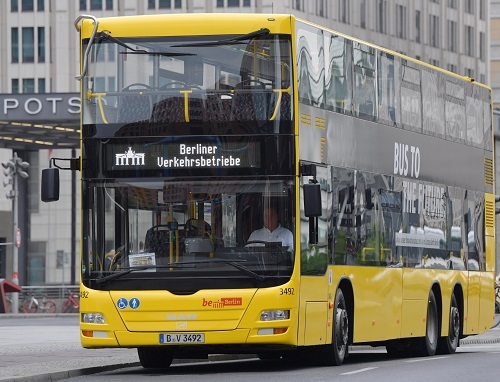 Since the network was rolled out in 2001, Airbus has partnered with BVG and, with its modern radio technology, it will make a further important contribution to the efficient running of Berlin’s bus traffic. With the upgraded Tetrapol network, drivers and the control centre will be able to react more efficiently to all kinds of situations and to communicate more securely. The modernisation also implies an increase in the system’s capacity so that it can transmit even greater volumes of data. For approximately 2,100 radio users at the BVG, the Tetrapol network was made even more robust and user-friendly. A total of around 14,600 people work for the BVG and its subsidiaries to provide an environmentally friendly, reliable and safe transport system for more than a billion travellers each year. To coordinate the complex bus traffic in Berlin, the company built the Airbus Tetrapol network around nine base stations. Buses run on more than 150 lines over a catchment area of approximately 1000 km². The BVG also operates night buses on more than 60 lines, along with 22 tramway lines.